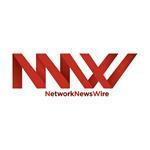 NEW YORK, Oct. 11, 2018 — via NetworkWire — NetworkNewsWire (“NNW”), a multifaceted financial news and publishing company, today announces the publication of an editorial featuring First Cobalt Corp. (TSX.V: FCC) (OTC: FTSSF), a client of NNW and a vertically integrated North American pure-play cobalt company. First Cobalt owns three substantial North American assets. The company’s flagship asset is the Iron Creek Cobalt Project in Idaho, which has an inferred mineral resource estimate of 29.6 million tons grading 0.11 percent cobalt equivalent. First Cobalt also controls a prodigious land package composed of 50 past-producing mines in the Canadian Cobalt Camp and, importantly, the company owns the only permitted cobalt refinery in North America capable of producing battery-grade materials. To substantiate assets and solidify objectives, First Cobalt recently announced a mineral resource estimate of 29.6 million tons of 0.11% cobalt equivalent at the Iron Creek Project. Unlike almost all other cobalt mines, First Cobalt’s Iron Creek Project is primarily a cobalt deposit with copper as the byproduct.